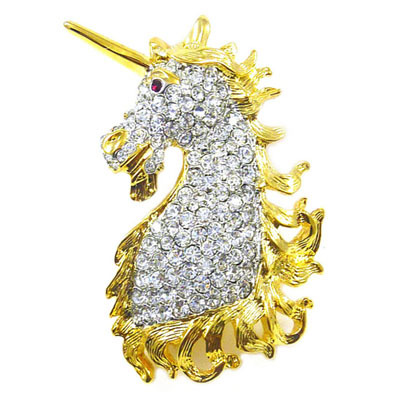 Unicorn head brooch pin encrusted all over with clear swarovski crystals and a ruby crystal for the eye on a 22 kt gold plated frame. Stamped with KJL. Size: 3.5 x 5 cms. Designer: Kenneth Jay Lane.